Their tour is still going strong—so get your tickets! Ever since The Head and the Heart's self-titled debut in 2010, the sextet has been climbing charts (with a No. 5 spot on the US Billboard 200), stealing hearts (Has Charity's voice ever cured your heartbreak? ), and touring all across the globe (pretty much everywhere). Back then, that album cover was iconic for me, and made an appearance in my digital playlists more than once each day. Now, the "Lost in My Mind" band have released their third studio album, Signs of Light, bringing it to life through the live versions of tracks like "All We Ever Knew" and "City of Angels"—everywhere from Conan to Austin, Texas. Taking a break from Mala Luna Festival, we ran over to Stubb's to check out the Seattle group's can't-miss set a few weeks ago. 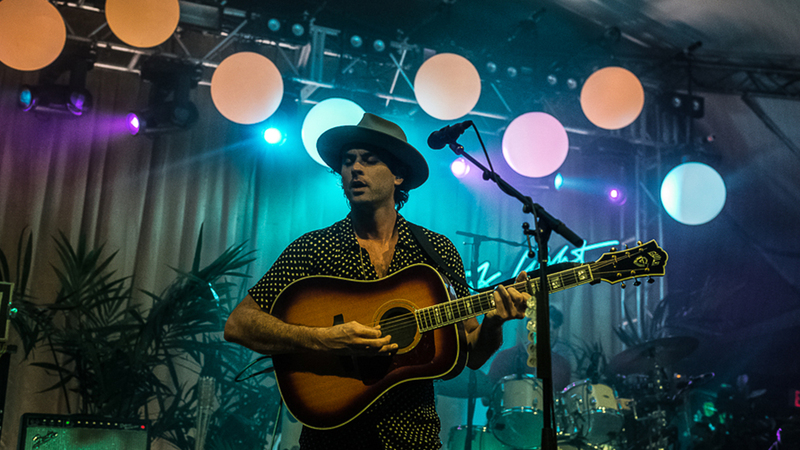 Whether or not you've seen them live before, The Head and the Heart have a bunch more dates left this year (including shows with The Strumbellas! ), which means there's tons of chances to catch them live that you shouldn't skip out on. Track them on Bandsintown now so you don't miss one of their live shows.